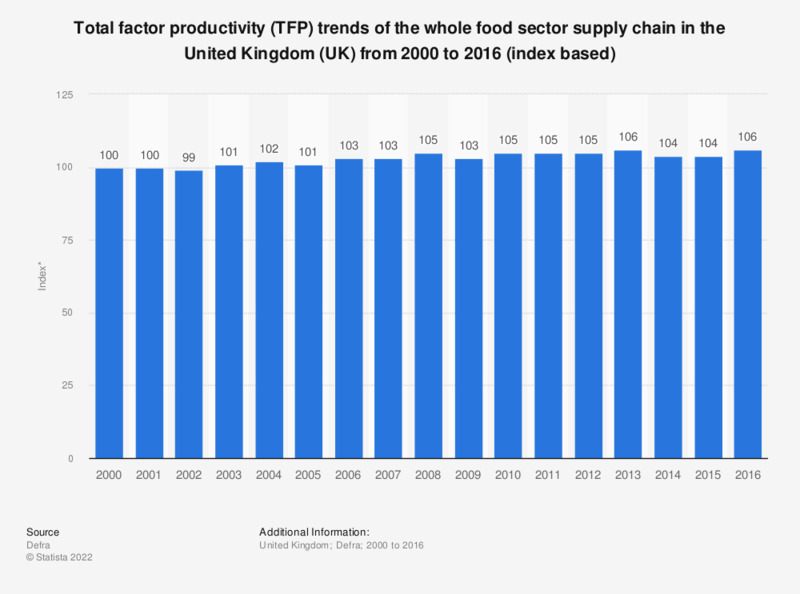 This statistic shows the total factor productivity (TFP) of all sectors of the food supply chain in the United Kingdom (UK) from 2000 to 2016. Over this period, TFP has only fluctuated slightly, with the index level measuring at 106 in 2016. Productivity measures the efficiency at which inputs are converted into outputs. TFP provides a comprehensive picture of growth, and is measured here by index number (with 2000 equalling 100).